You will often hear people complain that the MMO industry is stagnating. It’s a criticism I myself have made more than once. A full-featured MMORPG is a massive investment of time and money, so developers are understandably risk-adverse, but as a player it can be frustrating to see things move so slowly. But just because the genre doesn’t evolve as fast as we’d like doesn’t mean that it doesn’t evolve at all. Over the years, there have been some true innovations — new design concepts that changed how top MMO games were played for the better. Much virtual ink has been spilled over the stagnation of MMOs, but today, let’s salute the leaps forward the genre has had by looking at some of the most influential innovations MMOs have had over the years. 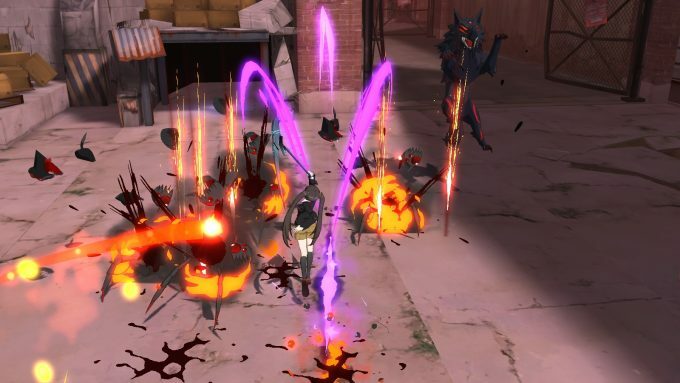 Instancing had more than a few detractors when it first began to appear in MMOs many years ago, and even today, it can still sometimes stir up a certain degree of controversy. People feel it damages the sense of place and the emergent gameplay that separate MMOs from their single-player equivalents. I have some sympathy for this perspective. 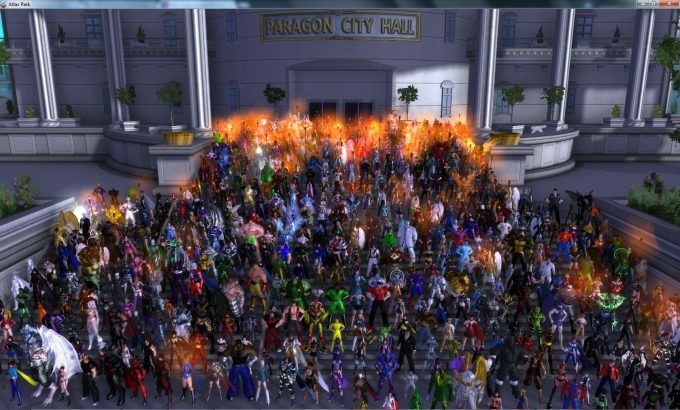 I do think that MMOs are often at their best when content takes place in a shared world, with large numbers of players interacting all at once. Most of my best MMO memories are of moments like that — be it battling world bosses during The Secret World’s holiday events or participating in Wyrmrest Accord’s Pride march in World of Warcraft. Instancing does have a cost in terms of immersion, and too much of it can make a game feel less special than it otherwise would be. However, it does bring a lot of positive things to the genre, too. Instancing creates a more controlled environment, allowing for story-telling moments that would be difficult or impossible to replicate in an open world. It allows developers to fine tune encounters around a set number of players and prevent bosses from simply being zerged down by overwhelming numbers. And while large-scale events are often the source of the genre’s most memorable moments, sometimes more intimate gatherings are welcome, too. Instancing allows smaller groups to enjoy themselves without outside interference. Ultimately, instancing is just another tool for developers to call upon. It can be misused, but at the end of the day, the more options developers have, the better. A more recent innovation, phasing performs a similar role to instancing, but it employs a subtler touch. Different games handle phasing differently, but generally it allows multiple versions of the same environment to exist in the same space. This has a number of applications, but the biggest is to allow the gameworld to change to reflect a player’s actions. We’re all familiar with how immersion-breaking it can be for the boss you just killed or the army you just defeated to still be hanging around, a reminder of the futility of your actions every time you return to an old zone. It’s something that hammers home the artificiality of the experience. First introduced in World of Warcraft’s much-acclaimed Wrath of the Lich King expansion, phasing helps solve that by allowing your actions to have a lasting impact. The evil wizard you slew will stay dead. The army you drove off will not return. It allows MMOs to feel more like the evolving worlds they were meant to be. It means allows your accomplishments to truly matter. Like instancing, phasing has its detractors. It can separate players and sometimes cause bugs or other unfortunate side-effects. However, with good design these issues can be mitigated, and like instancing, it’s another tool in the developer toolkit than can do good when used appropriately. Honestly, I don’t think the full potential of phasing has yet been realized. There’s a lot more it could do. I’m sure this is another of those things that’s easier said than done, but I would like to see developers find ways to unite players across phases, perhaps by letting people sync phases with their friends. Without the risk of separating the population too much, developers would be much more free to let players shape the game world around them. Your choices and actions could begin to feel truly impactful. While instances and phasing can serve to separate players, cross-server technology does the opposite, helping to bring people together. In the olden days, every MMO was spread across many different servers. The technology simply wasn’t there to let everyone inhabit the same virtual space, but this created a lot of problems. If you and your friend rolled characters on different servers and you wanted to play together, one person would have to either reroll and start from scratch or pay for a costly server transfer. Then there was the potential for server populations to crash, in some cases to the point where it became all but impossible to complete multiplayer content. It was, in short, not a good system. It kept people apart, and it added a lot of inconvenience. However, as technology has evolved, the stranglehold of traditional servers has weakened. EVE Online was one of the first games to adopt a single server for all of its players, but as the years have gone on, many more games have come on board with some sort of a “mega-server” system, including Guild Wars 2 and Elder Scrolls Online. Even games that still use traditional servers are starting to find ways to blur them together. World of Warcraft now allows players to group and complete activities across servers in most cases, though there are some limitations on what cross server groups can do together. The end result is that MMOs are now much closer to achieving their full potential as a massively social medium. These two features are not one and the same — all open tapping uses personal loot, but not all personal loot involves open tapping — but they’re similar enough in function to lump together. They’re both ways to encourage players to work together, rather than against each other. Open tapping prevents anyone from “stealing” a kill by rewarding anyone who assists in the kill of a mob. Personal loot, meanwhile, rewards items to each player automatically and impartially, rather than offering a fixed pool of rewards that players must then choose how to distribute. Guild Wars 2 made systems like this major selling points, and while I’m not the biggest GW2 fan, I do give it major props for helping to propel these concepts into the limelight. These days more and more MMOs are adopting open tapping and personal loot in one form or another, and the old ways seem to be slipping away. The sooner the better, as far I’m concerned. It never made any sense to have to compete for kills against your own allies, and any long-time MMO player is familiar with the horrors loot drama can unleash. For all that vertical progression lies at the heart of nearly all RPGs, it comes with some pretty serious downsides, and it has many vocal detractors among the MMO community, including most of the writing staff of this site. For those of us who want our games to be more like worlds and less like ladders, level scaling is a godsend. By allowing a player’s effective level to match the world around them at all times, it prevents content from ever becoming irrelevant, and vastly expands the options available to us. It also makes the world feel more real, more immersive, by preventing obviously ridiculous situations like being able to slay a dragon with a single love-tap, and it breaks down social barriers to allow high and low level players to work together without issue. 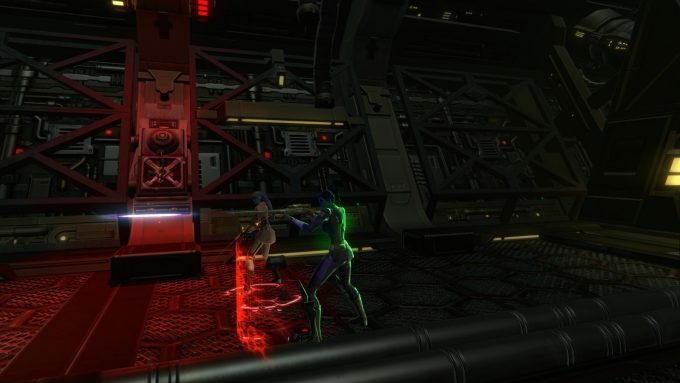 Back in the day, City of Heroes allowed people of differing levels to work together through the sidekicking system. 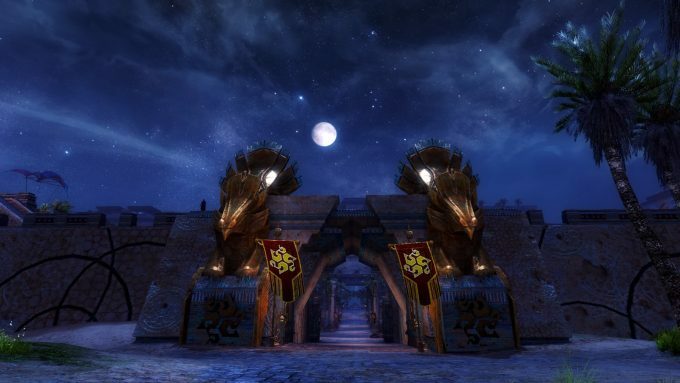 Later, Guild Wars 2 helped to popularize the idea of global level scaling, and it has since been adopted by Elder Scrolls Online and Star Wars: The Old Republic to great effect. 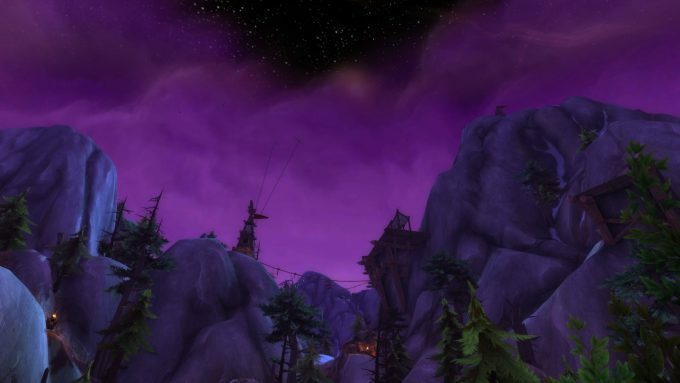 World of Warcraft has dabbled with a very limited implementation of level scaling, but as it’s still possible to out-level most of the game’s content, it ends up feeling like a waste of potential. Level scaling probably has more detractors than any other feature on this list, as fans of vertical progression find it stifling, but I firmly believe that MMOs are much better with it than without it, and I long for the day when it is the rule and not the exception. Those are our picks for the most influential MMO innovations. What do you feel the most positive changes to the genre have been over the years, and what innovations are still left to be made? This entry was posted in General MMOs, MMO Game Design, MMO Opinions, MMO Retrospective, State of MMOs, Top X Lists and tagged City of Heroes, Elder Scrolls Online, Eve Online, Guild Wars 2, Star Wars: The Old Republic, World of Warcraft on June 18, 2018 by Tyler Bro. I’m not sure phasing deserved its own bullet point here, as it’s basically instancing that pretends not to be instancing, and I prefer to know what’s happening to my character. As you say, instancing has its place, but I like being able to see which instance I’m in as well as being able to change it if wanted or needed. Hiding those options from the player isn’t great in my opinion. Otherwise I like level scaling the most out of the things listed in the article. It was one of those things I didn’t know I wanted until I got it. I’ve just never been a huge fan of previously epic enemies turning into one-shottable loot pinatas. The only one I’d add is more involved questing maybe? With voice acting, cut scenes and choices. Not all games go for all of these, but I think the silent, plain text box approach is considered pretty outdated by now. I think being able to see your phase and maybe change it is a solid idea, but I do think phasing that allows the world to change dynamically is valuable and distinct from instancing, where interesting things only happen in a cordoned off area that’s obviously and jarringly separate from the rest of the game. More involved questing is definitely a big deal, and very important to me personally, but I think it’s more a result of many incremental improvements than one singular innovation.